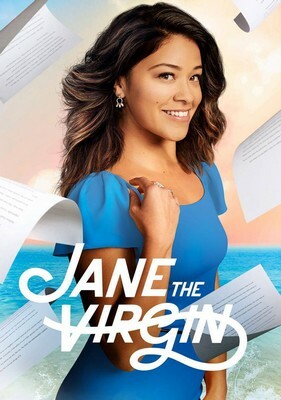 A série Jane the Virgin é uma adaptação da novela venezuelana Juana La Virgen. O projeto foi desenvolvido por Ben Silverman, Gary Pearl, Sofia Vergara (Modern Family) e Jorge Granier, com roteiro de Jennie Snyder Urman (Emily Owens MD). No elenco também estão Yael Grobglas (Reign), Anthony Mendez, Andrea Navedo (How to Make It in America, Golden Boy), Azie Tesfai (Franklin & Bash), Camille Collard, Bridget Regan (vista em Beauty and the Beast e White Collar), Ivonne Coll (Switched at Birth, Teen Wolf) e Brett Dier (The L.A. Complex, Ravenswood).